Cancellation 3 days in advance of the arrival day- no charge. If the cancellation less than 3 days before the arrival day- 100% charge. 100% Deposit for any type of bookings. 18+ of age, children are not allowed to check without their guardians. 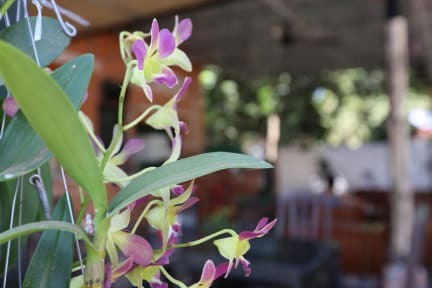 At Teacher's Home Siem Reap, we focus on providing a great hospitality services with the highest levels of customer satisfaction – we will do everything we can to meet our guests' expectations. Our hostel consists of a unique design with bamboo wall, and many other local designs. Staying with Teacher's Home Siem Reap, our guests will learn so much about what to do and see in Siem Reap, and not only that our guests and have some more good ideas for what to see and do in Cambodia since the owner of this hostel was a tour guide, and he travels around Cambodia before he sets up this hostel, also to see what his country has to offer to all guests from around the world. 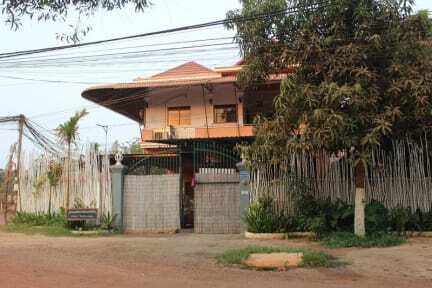 Even more that Teacher's Home Siem Reap gives a free bicycle use at least 4hours day for our guests to use for their town sight seeing otherwise the bicycle costs just one dollar per day. We aim to provide the best hospitality service, and make our guests feel home when staying with us, we also provide the free education to the staff. 1. Check in at 13:00. 2. Check out at 12:00 noon. 5. Age Restriction: Children under 18 years cannot stay with us without their guardians. 6. Reception Hours: 24 hours/7. 7. Be quiet after 21:00, guests need to relax. 8. The restaurant opens daily from 06:30 till 22:30. 9. No pet allowed at the hostel. 12. No walking on the temple statues while visiting the temple. Great family owned business. Very helpful and attentive. Good food and FREEEE WATER!!!! The pet peeves I had was the mangos hitting the tin roof. Sounded like a bomb and woke me up a few times. Other than that good choice to stay. Staff were really friendly and always looking to help. Location appears to be in the middle of nowhere when you get there but is actually only a 15 minute walk from pub street and the old Market ($2 in a tuk tuk). Dorm rooms mean sleeping on the floor but is pretty cheap and Sri.l comfortable with air con. Would stay again.